Definition at line 903 of file reg.c. Definition at line 172 of file reg.c. Referenced by get_file_handle(), reg_add(), and reg_delete(). Definition at line 632 of file reg.c. Referenced by export_registry_data(), query_all(), and query_value(). Definition at line 836 of file reg.c. Definition at line 912 of file reg.c. Definition at line 253 of file reg.c. Definition at line 83 of file reg.c. Referenced by build_subkey_path(), dword_data_state(), escape_string(), export_dword_data(), export_hex_data(), export_hex_data_type(), export_key_name(), export_registry_data(), export_string_data(), export_value_name(), get_lineA(), get_lineW(), get_long_key(), get_regdata(), GetWideString(), GetWideStringN(), header_state(), open_key(), output_writeconsole(), query_all(), query_value(), quoted_value_name_state(), reg_data_to_wchar(), and reg_delete(). Definition at line 94 of file reg.c. Referenced by convert_hex_csv_to_hex(), export_registry_data(), get_lineA(), get_lineW(), query_all(), query_value(), and reg_delete(). Definition at line 241 of file reg.c. Definition at line 895 of file reg.c. Definition at line 884 of file reg.c. Referenced by output_message(), and output_string(). Definition at line 147 of file reg.c. Referenced by ask_confirm(), get_file_handle(), get_regdata(), key_name_state(), parse_registry_key(), parse_win31_line_state(), query_value(), reg_add(), reg_delete(), reg_export(), reg_import(), reg_query(), sane_path(), unescape_string(), and wmain(). Definition at line 162 of file reg.c. Referenced by output_value(), query_all(), query_value(), and reg_query(). Definition at line 603 of file reg.c. Referenced by query_all(), and query_value(). Definition at line 107 of file reg.c. Referenced by get_file_handle(), and output_formatstring(). Definition at line 863 of file reg.c. Referenced by reg_export(), and wmain(). Definition at line 210 of file reg.c. Referenced by parse_key_name(), and parse_registry_key(). Definition at line 202 of file reg.c. Definition at line 722 of file reg.c. Definition at line 645 of file reg.c. Definition at line 373 of file reg.c. Definition at line 521 of file reg.c. Definition at line 433 of file reg.c. Definition at line 808 of file reg.c. Definition at line 591 of file reg.c. Definition at line 354 of file reg.c. Definition at line 224 of file reg.c. Definition at line 946 of file reg.c. Referenced by ___w64_mingwthr_add_key_dtor(), __mingwthr_key_dtor(), __mingwthr_remove_key_dtor(), ATL::CRegKey::_DoDeleteKeyTree(), _test_key_exists(), _test_key_not_exists(), _TIFFFindFieldByName(), ACTION_AppSearchIni(), ACTION_RegisterMIMEInfo(), add_param(), add_userkey(), AddDisplayDevice(), AddDlg_OnCommand(), afm_parse_kern_data(), afm_parse_kern_pairs(), afm_parse_track_kern(), afm_parser_next_key(), afm_parser_parse(), afm_parser_skip_section(), apply_image_attributes(), arbfp_blit_type_compare(), bsearch(), btrfs_read_sys_chunk_array(), cache_container_set_size(), CategoryMgr_FindClosestCategory(), CDecodeEnvelopedMsg_CrtlDecrypt(), CDecodeSignedMsg_VerifySignatureWithKey(), CertGetPublicKeyLength(), check_dirid(), cleanup_eventlog(), COM_OpenKeyForCLSID(), COMCAT_ICatInformation_GetCategoryDesc(), COMCAT_ICatInformation_IsClassOfCategories(), COMCAT_RegisterClassCategories(), compare_function_decl_rb(), compare_function_rb(), compare_hlsl_types_rb(), CountUniqueItems_Aux(), create_diff_row_query(), create_monodata(), create_new_eventlog(), create_server(), CRYPT_CreateKeyProv(), CRYPT_ExportPublicKeyInfoEx(), CRYPT_GetFuncFromReg(), CRYPT_ImportKeyTrans(), CRYPT_ImportSystemRootCertsToReg(), CRYPT_LoadSIPFunc(), CRYPT_RegOpenStore(), CRYPT_RegWriteToReg(), CRYPT_VerifySignature(), CRYPTDLG_CheckOnlineCRL(), CryptGetDefaultOIDDllList(), CryptRegisterDefaultOIDFunction(), CryptSIPRetrieveSubjectGuid(), CryptUnregisterDefaultOIDFunction(), d3dcompiler_shader_reflection_type_compare(), d3drm_animation2_AddPositionKey(), d3drm_animation2_AddRotateKey(), d3drm_animation2_AddScaleKey(), d3drm_animation2_DeleteKey(), d3drm_animation2_GetKeys(), DECLARE_INTERFACE_(), deformat_component(), deformat_environment(), deformat_file(), dictInsertBefore(), dump_child_(), EDIT_CheckCombo(), ensure_useragent(), export_is_key_exportable(), export_registry_key(), IconCache::extract(), fetch_machine_product(), ft_hash_str_insert(), ft_hash_str_lookup(), FTP_Connect(), get_cert_mgr_usages(), get_default_proxy_reg_value(), get_install_root(), hhp_pair::get_key(), get_key_state(), get_key_value(), get_mono_path_from_registry(), get_reg_dword(), get_shell_icon_size(), GetInstalledVersion_WowUser(), GetScanCode(), glsl_blitter_args_compare(), glsl_program_key_compare(), hash_bucket(), hash_insert(), HashFindFreeKeyBlock(), HashInsert(), hhp_pair::hhp_pair(), I_CryptReadTrustedPublisherDWORDValueFromRegistry(), inf_value_parse(), CAutoComplete::Init(), init_driver(), InitLogs(), InputProcessorProfiles_EnableLanguageProfile(), InputProcessorProfiles_EnableLanguageProfileByDefault(), InputProcessorProfiles_IsEnabledLanguageProfile(), install_inf_file(), INTERNET_LoadProxySettings(), INTERNET_SaveProxySettings(), iocp_async_closesocket(), iocp_async_read(), iocp_async_read_closesocket(), iocp_async_read_thread(), iocp_async_read_thread_closesocket(), ITERATE_InstallService(), ITERATE_RemoveIniValuesOnInstall(), ITERATE_RemoveIniValuesOnUninstall(), ITERATE_WriteIniValues(), ITERATE_WriteRegistryValues(), load_sys_chunks(), MMDevEnum_GetDefaultAudioEndpoint(), MMDevice_Create(), MMDevPropStore_OpenPropKey(), MSI_EnumComponentQualifiers(), msi_publish_install_properties(), msi_validate_product_id(), NdrDllRegisterProxy(), notif_thread_proc(), ok_keys_(), okChildInt_(), okChildIntBroken_(), okChildPath_(), okChildString_(), ole_server(), param_rb_compare(), process_hook_section(), ProcessKeys(), PROFILE_DeleteAllKeys(), PROFILE_DeleteKey(), PROFILE_Find(), PROFILE_Free(), PROFILE_GetSection(), PROFILE_Load(), PROFILE_Save(), rdssl_sign_ok(), read_oid_info(), reg_add(), reg_delete(), reg_query(), register_codepages(), register_interfaces(), register_key_defvalueA(), register_key_defvalueW(), register_verb(), RegisterTypeLib(), resolve_keypath(), RfsdLookupFileName(), RfsdProcessDirEntry(), save_cert_mgr_usages(), SECUR32_initializeProviders(), set_ldids(), ATL::CSimpleMap< TKey, TVal, TEqual >::SetAtIndex(), ATL::CRegKey::SetKeyValue(), Settings_GetOutputPath(), Settings_GetShouldWriteDump(), SETUPDI_CreateDevKey(), SETUPDI_OpenDevKey(), SETUPDI_OpenDrvKey(), SetupDiCreateDeviceInterfaceRegKeyA(), SetupDiCreateDevRegKeyA(), SetupDiCreateDevRegKeyW(), SetupDiOpenClassRegKeyExW(), SetupDiOpenDevRegKey(), ATL::CRegKey::SetValue(), SHGetObjectCompatFlags(), SHGetShellKey(), si_compar(), sparse_array_add(), sqliteKeywordCode(), START_TEST(), sti_compar(), test__lfind_s(), test_Add(), test_animation(), test_autocreation(), test_comparemode(), test_completion(), test_completion_port(), test_device_interface_key(), test_dik_codes(), test_Exists(), test_findOIDInfo(), test_get_profiles_dir(), test_hash_value(), test_header(), test_IACLCustomMRU_Continue(), test_IEnumVARIANT(), test_import_hmac(), test_install_from(), test_interfaces(), test_internet_features(), test_Item(), test_Keys(), test_ldap_parse_sort_control(), test_long_value_name(), test_NonExistentPath(), test_notify(), test_NtCreateKey(), test_NtOpenKey(), test_NtQueryKey(), test_NtQueryValueKey(), test_NtSetValueKey(), test_null_provider(), test_perflib_key(), test_publish_components(), test_query(), test_readTrustedPublisherDWORD(), test_redirection(), test_reg_delete_key(), test_register_device_iface(), test_register_font(), test_registerDefaultOIDFunction(), test_registerOIDInfo(), test_registry(), test_registry_property_a(), test_registry_property_w(), test_RegNotifyChangeKeyValue(), test_RegOpenCurrentUser(), test_RegPolicyFlags(), test_Remove(), test_remove_env_strings(), test_remove_registry_values(), test_save(), test_SHGetFolderPathA(), test_SHRegCloseUSKey(), test_signed_msg_encoding(), test_signed_msg_update(), test_sioAddressListChange(), test_symlinks(), test_synchronous_WSAIoctl(), testAcquireCertPrivateKey(), testAcquireSecurityContext(), testCreateSelfSignCert(), testExportPublicKey(), testGetPublicKeyLength(), testImportPublicKey(), Tests_Insert_And_Delete(), testSignCert(), TIFFFindField(), TLB_register_interface(), TOOLBAR_Save(), TreeNodeMake(), tt_face_get_kerning(), TuiEditBox(), TuiMessageBoxCritical(), UpdateKeyStateFromMsg(), urlcache_hash_entry_create(), urlcache_hash_key(), usp10_compare_script_range(), VARIANT_GetNamedFormat(), verify_mru_(), wine_get_sortkey(), wined3d_ffp_frag_program_key_compare(), wined3d_ffp_vertex_program_key_compare(), WinHttpGetDefaultProxyConfiguration(), WinHttpSetDefaultProxyConfiguration(), WintrustGetRegPolicyFlags(), WintrustSetRegPolicyFlags(), write_superblocks(), xmlDictExists(), xmlDictGrow(), xmlDictLookup(), xmlDictQLookup(), xmlHashAddEntry3(), xmlHashGrow(), xmlHashLookup3(), xmlHashQLookup3(), xmlHashRemoveEntry3(), xmlHashUpdateEntry3(), and xsltAddKey(). Definition at line 38 of file reg.c. Definition at line 36 of file reg.c. Definition at line 34 of file reg.c. Definition at line 37 of file reg.c. Referenced by get_long_key(), lfn_check_orphaned(), lfn_get(), and path_get_rootkey(). Definition at line 67 of file reg.c. Referenced by reg_get_stringvalue(), and test_NtQueryLicenseKey(). Definition at line 81 of file reg.c. Referenced by comment_line(), output_value(), query_all(), query_value(), and reg_query(). Definition at line 643 of file reg.c. Referenced by query_value(), and reg_query(). Referenced by get_long_key(), and path_get_rootkey(). Definition at line 31 of file reg.c. Definition at line 30 of file reg.c. Definition at line 32 of file reg.c. Referenced by dup_relocated_dir(), get_graft(), insert_file_entry(), lfn_fix_checksum(), lfn_get(), path_get_rootkey(), and test_NtQueryDirectoryFile(). Referenced by query_all(), query_value(), SHRegGetBoolUSValueA(), SHRegGetBoolUSValueW(), test_add(), test_export(), test_import(), test_NtQueryLicenseKey(), test_unicode_import(), and verify_reg_(). Definition at line 59 of file reg.c. Definition at line 60 of file reg.c. Definition at line 57 of file reg.c. Definition at line 62 of file reg.c. 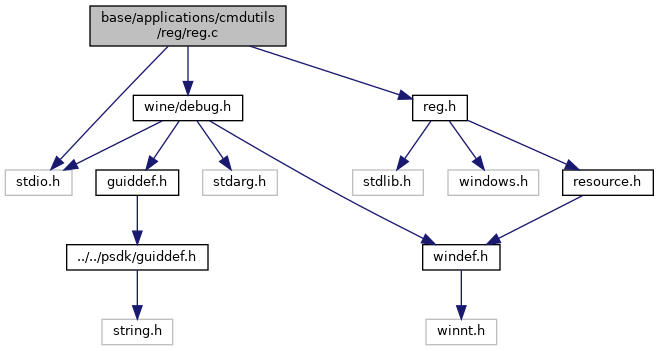 Referenced by reg_type_to_wchar(), and wchar_get_type().